The Alfa Romeo Quadrifoglio is a blast to drive, about as much fun as any sedan ever. The price is high, though. 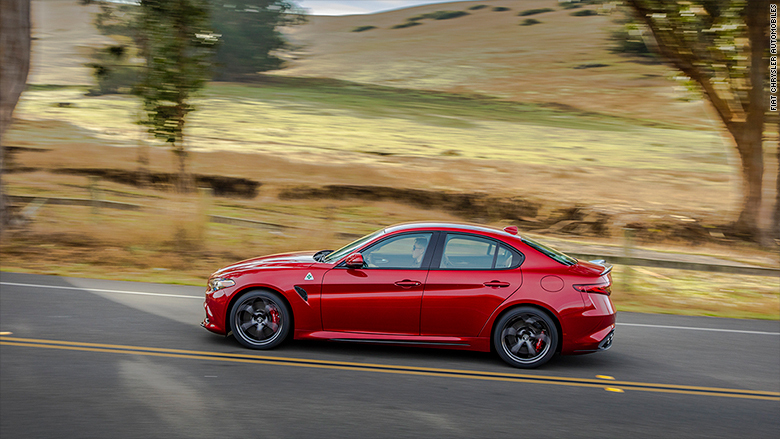 The Alfa Romeo Giulia Quadrifoglio is just about the most fun, in the most everyday situations, of any car four-door sedan I've ever driven. It's sharp, it's powerful, it's quick. But, before we get too excited, let's get a couple of important things out of the way. For starters, there's the price. 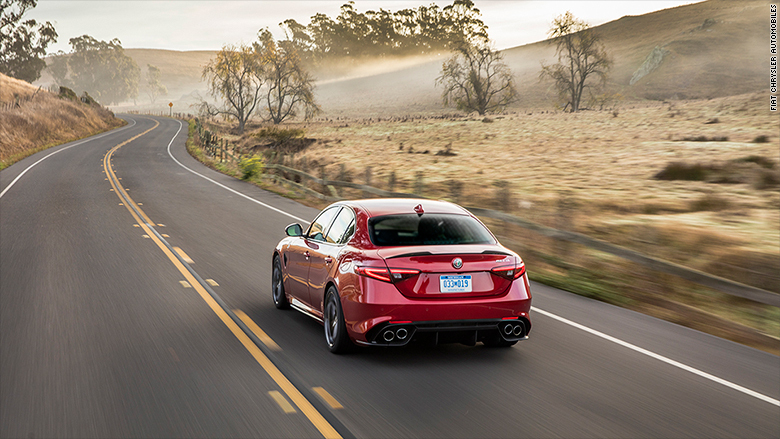 The Quadrifoglio name and the clover just behind the front wheel mean this is the high-performance version of the Giulia sedan. It's sort of Alfa's equivalent of a Mercedes AMG badge. That also the means it costs more than a regular Giulia sedan. 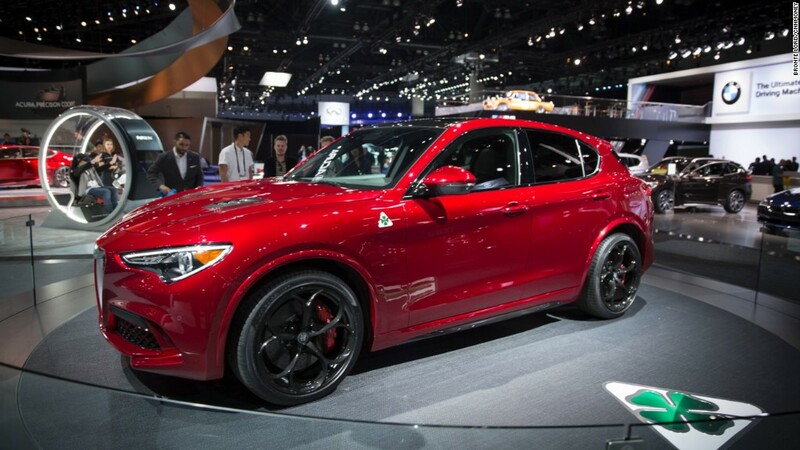 With a price like that, not a whole lot of people are going to buy the Quadrifoglio. 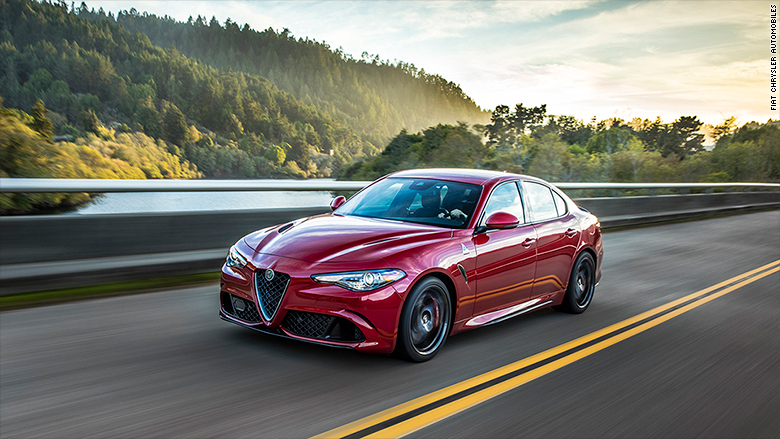 Fiat Chrysler Automobiles (FCAU), Alfa Romeo's parent company, admits that only 5% to 10% of all Giulia sales will be of this high-priced sported up version. This car's real purpose is to get journalists like me to gush about how gloriously enjoyable it is to drive. Which I will do because it is. But, first, there is also the issue of quality. FCA has a well-earned reputation for spotty quality. Check out the bottom third of the latest vehicle dependability ranking from Consumer Reports. The five other FCA brands currently sold in the U.S. are at the bottom of the list. It's not a good look. An FCA spokesman insists the Giulia will be different. This car was engineered with an intense attention to reliability from the start, he said. I hope so because, really, it's so good in most other respects. For one, it looks amazing. When I drove the Giulia it acted like a sort of dog whistle for Italian men. Wherever I went, Italian men would walk over to ask about it. All agreed that it was a gorgeous car, particularly in red. In fact, I could hardly get them talking about anything else except how very damned good it looked. And there's plenty more to talk about. The crisp and responsive steering. The perfectly tuned suspension that provided a decent, if slightly rigid, ride on poor roads but still controlled body motions in tight turns. The comfortable but snug optional carbon fiber sports seats. And the lovely sound of that 505-horsepower turbocharged V6 engine engineered with help from Ferrari. It drives as much like a sports car as any sedan ever could, I think. It has four selectable driving modes, including "Dynamic" and "Race," but even in boring "Normal" mode, it's a blast while still amenable to ordinary errand running. Racecar touches, like the Start-Stop button on the steering wheel, add to the fun. Granted, the cabin is a little snug, particularly side-to-side. Also, I thought some of the interior switches and knobs felt a little chintzy and the computer screen in the dashboard is annoyingly tiny by modern standards. These quibbles did little to keep me from wanting to get in it and drive every chance I got. Is it worth $30,000 more than the regular Giulia? I really hope not because that would mean that the 280 horsepower base car would actually be $30,000 less good. And that would just be a crushing disappointment. I'll have to let you know about that later on.